Rajinikanth visits his guru's temple in the U.S. 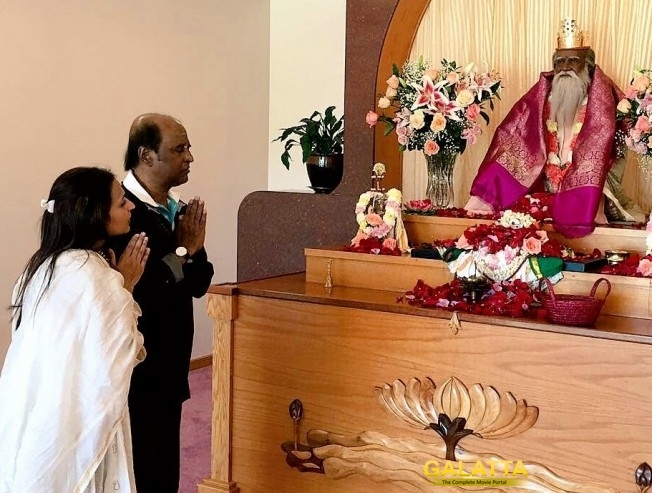 Known for his deep involvement in meditation and yoga, Superstar Rajinikanth visited his guru Satchidananda's Lotus All Faiths temple in Virgina, U.S. He was accompanied by his daughter Aishwarya. "Appa n I @ his guru Satchidananda's "Lotus all faiths temple" 30th anniversary Yogaville Virginia #BlessedSunday," she posted.